Tis’ the season for shearing sheep. Here are a couple of options if you’re interested in processing your own. We have unwashed white sheep fleeces for sale from our farm in Co.Kildare. Suitable for spinning, felting or other wool crafts. From Texel cross, Suffolk and Cheviot ewes. 4 euros per kg – average fleece is 2.5kg. Hand picked over for vegetable matter and dung. 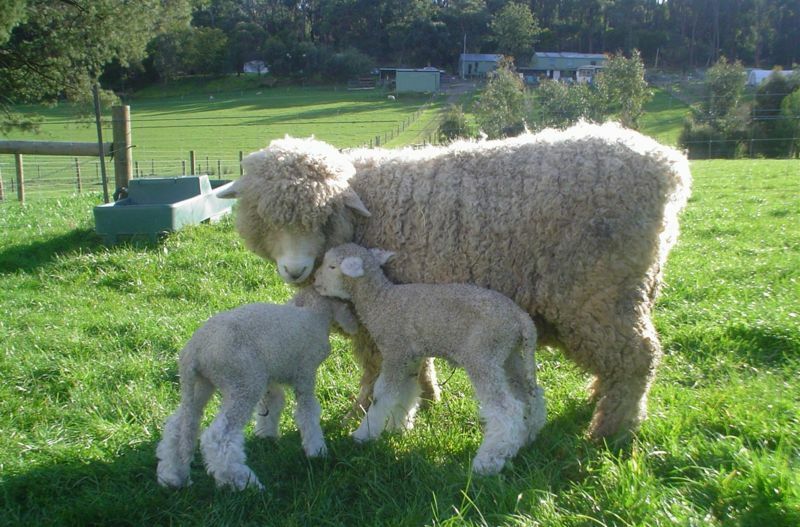 Let us know how the fleeces work for felting! We’d love pictures for the magazine. Our next Sunday Session will take place on Sunday next 12th June from 10.30-13.00 in the Visitors Centre of the Phoenix Park in Dublin. 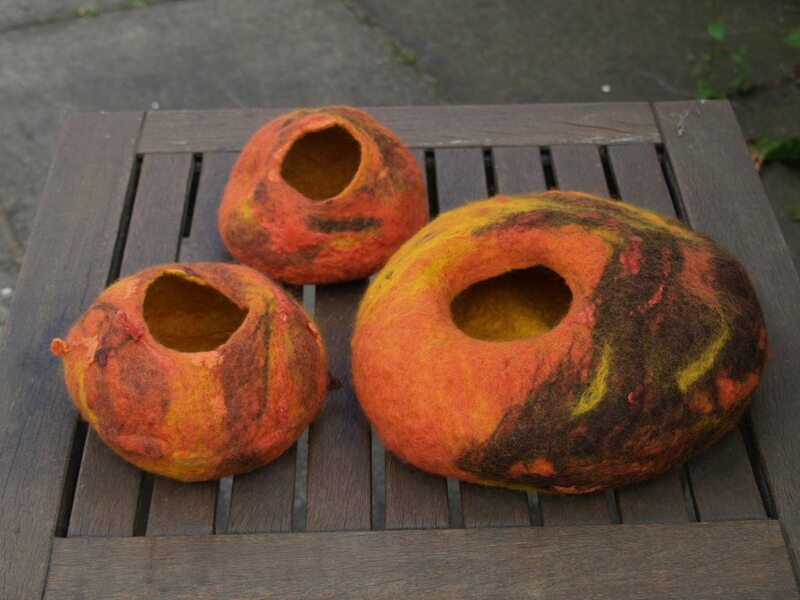 Fiona Harvey from Feltmakers North is going to bring some of the lovely vessels she has made and guide us through the process of making hollow form vessels. Please bring along a basic feltmaking kit if you would like to try it out yourself. We may have to make very small vessels as the space is limited. Everyone is welcome. And….while you are there you can visit the textile exhibition in the gallery downstairs. The 04Textile group do beautiful work and many of them are feltmakers. Their exhibition runs until the end of June. Here is an invitation to the exhibition.